GradeStack - Learn on the Go! 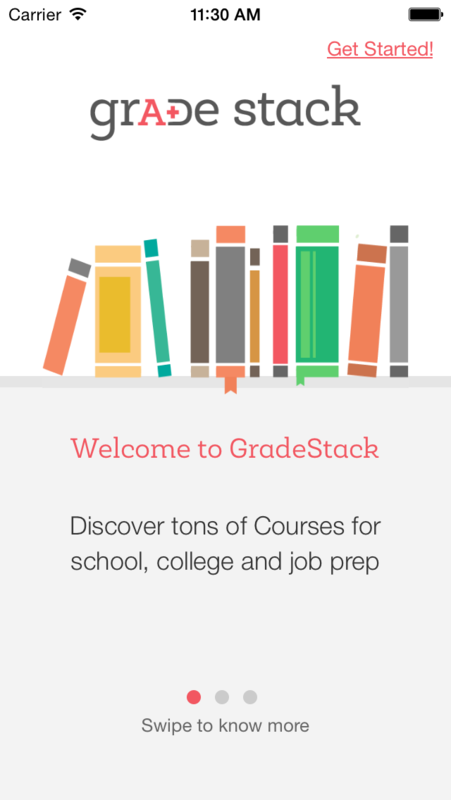 GradeStack is your interactive learning companion. Explore and get free courses on GradeStack and learn from different experts to help you prepare for exams, study in school or just for learning on the go. Our library includes courses for prep on CBSE, CA-CPT, GRE, Bank PO etc. Each course comes with required study material and practice tests to bolster your prep and get you the feel of the real exam. These courses are prepared by experts and renowned publishers. GradeStack makes learning fun and social - Share what you learn with your friends, ask questions, post answers and discuss. Learn how to crack the exams of your choice the GradeStack way, get the edge in your preparation !